The post below was written for the original release of IGraph/M. The package has come a long way since then and now contains ~300 functions. 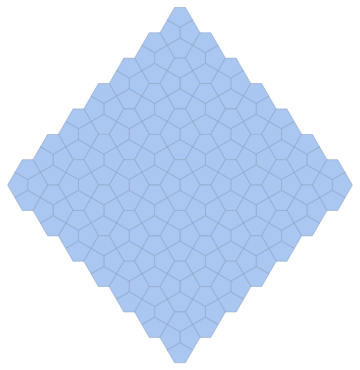 See http://szhorvat.net/mathematica/IGraphM for more details on the current release. Compatibility: 64-it Windows/macOS/Linux or Raspberry Pi; Mathematica 10.0 or later. igraph is a graph manipulation and analysis package. IGraph/M makes its functionality available from Mathematica. This initial release, version 0.1, covers only some igraph functions, as I focused on the things that I need personally. However the main framework is complete, and new functions can be added quickly. If anyone would like to contribute, please contact me. Binary packages for OS X (10.9 or later) and Linux can be downloaded from GitHub. Unfortunately, I was unable to compile the development version of igraph for Windows, so I cannot provide a Windows version. If you can help with compiling igraph itself (not IGraph/M) on Windows, please let me know! Note that IGraph/M is not a replacement for Mathematica's graphs and networks functionality. It is meant to complement what is already available in Mathematica, thus it primarily focuses on adding functionality that is not already present. Why did I release the package before covering most of the igraph functionality? I do not have time to work on things I do not personally need or use, so I am unlikely to extend it further unless the need comes up. I do think that the functions that are included in v0.1 can already be useful to others too. I would also like to give the opportunity for people to contribute to the project if they wish to. The groundwork has been laid, so further extensions should be quick and relatively easy. Also check out a related project, IGraphR, which makes igraph available for Mathematica users through RLink. I wrote IGraph/M because I needed higher performance and greater reliability (especially for parallel computing) than what RLink could provide. A request: If any of you have used IGraphR in the past to access igraph from Mathematica, please post a response to this thread and let me know which specific functions you were using. Version 0.1.1 is now available. Basic documentation notebook with some examples. Evaluate IGDocumentation to open. Try it and let me know if something doesn't work, especially on Windows! Hello, I did give it a spin on windows 7 64 and 10.1 kernel. All functions work in your documentation (manually opened) The only error appears when I use IGDocument to open the documentation. Thank you for letting me know! This is now fixed in version 0.1.2. There are few changes in this version; its main purpose was to fix a bug on Windows where some functions were not working at all. IGraph/M version 0.1.3 is released now, with expanded coverage for igraph functions and a lot of polish for the already covered ones. IGraph/M 0.2.0 is released now with many improvements. Compatibility with Mathematica 10.4 on OS X.
I would appreciate any testing people can do on platforms I didn't have access to (priorities in decreasing order: Linux, Windows, OS X, pre-10.3 Mathematica versions). IGraph/M 0.2.0 is released now with many improvements. It can be downloaded from https://github.com/szhorvat/IGraphM/releases as usual. 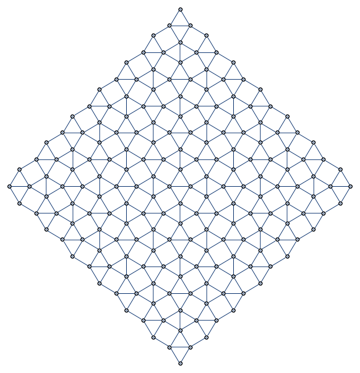 IGraph/M 0.2.1 is now released. This is a bugfix release. It can be downloaded from https://github.com/szhorvat/IGraphM/releases as usual. Two bugs which could cause wrong results to be returned are fixed. If you use any of the affected functions, please upgrade. IGFeedbackArcSet could return wrong results for some graphs. This is now fixed. The "RemovedEdges" property returned by IGCommunitiesEdgeBetweenness could be incorrect for some graphs. This is now fixed. Other properties were not affected. The Hierarchical Clustering package is no longer auto-loaded by IGraph/M to avoid shadowing DistanceMatrix, a new builtin added in Mathematica 10.3. Load this package manually (<<HierarchicalClustering`) to work with the "HierarchicalClusters" property of IGClusterData objects. A number of other small bugs were also fixed. 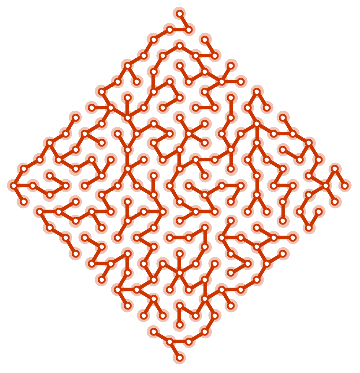 IGraph/M 0.3.0 is now available. This release fixes compatibility with Mathematica 11.1. It also introduces new functions, performance improvements, bug fixes and polish. Upgrading is recommended for all users. Let me know if you find any problems, or have any suggestions. This release has several utility functions for working with graph properties and weighted graphs. Can't wait to play with this Package! Don't worry about the red colouring here. This is only because the builtin HierarchicalClustering package hasn't been updated to make use of SyntaxInformation. These options work correctly. The highlighting can be safely ignored. Prerelease 0.3.91 is now available. If you tried the previous prerelease, please upgrade. This release includes bug fixes, documentation improvements, and a few new functions. Prerelease 0.3.92 is now available. If you are using Mathematica 11.2, please do upgrade! The previous prerelease may cause problems with the M11.2 documentation centre. This release is still marked as a "prerelease" because not all features I planned are ready. However, at this point, I strongly recommend using it instead of the older 0.3.0. IGraph/M 0.3.94 is now available! Please upgrade to this version if you are still using 0.3.0.
Notable improvements since the previous prerelease: functions for working with bipartite incidence matrices, converting geometrical meshes to graphs (thank you to Henrik Schumacher! ), improvements to community detection, improvements to isomorphism functions, improvements to random walk functionality, and of course bug fixes. A full list of changes since v0.3.0 is in the README. Update: 0.3.95 is out now with performance improvements and a few new functions. Update: 0.3.96.1 is out now. Please upgrade. Update: 0.3.97.2 is out now. Please upgrade. You can use the upgrade script on the project's GitHub page. This release introduces more functions for working with weighted graphs. IGraph/M 0.3.99 is now released, with a simplified installation procedure. Now it only takes a single line of Mathematica code to automatically download and install the package (please click through to the website so I can keep the installation instructions in a central location). This release brings many features developed specifically for IGraph/M, and not previously available in the core igraph library. It also includes several new features exclusive to IGraph/M (not available in other igraph interfaces). At this point, IGraph/M also provides alternatives for most Combinatorica feature that do not yet have built-in equivalents in Mathematica. We apply a Mycelski construction to a cycle graph twice, then compute a minimum colouring, and finally visualize this colouring. Improved mesh-graph conversion. Let's compute the face-face adjacency graph (i.e. the dual lattice) while keeping vertex coordinates. Let's take that graph and find a random spanning tree to generate a nice maze. Now take the degree sequence of that tree and generate another tree (i.e. connected graph) with the same degree sequence. 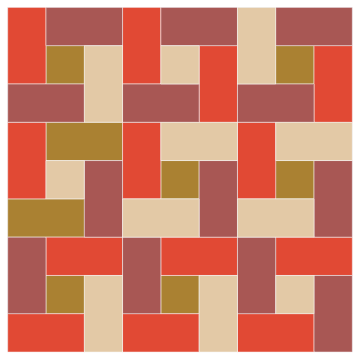 Compute a minimum colouring of a pinwheel tiling. Compute the chromatic index (edge chromatic number) of a large graph. There are many more examples in the documentation, and many more new functions. Here I chose to show a few visually interesting ones. As always, all feedback is welcome, and any help with the package is appreciated: testing, editing the documentation, contributing examples, or if you're feeling up to it, adding new functions. 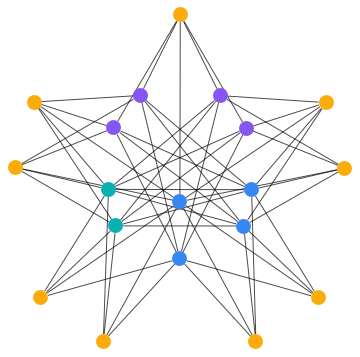 New version released with a critical fix for IGBlissIsomorphicQ for coloured graphs. Please update. UPDATE: There's a new release that improves compatibility with various Linux distributions, and also has other fixes. Please upgrade! Remember that it's always easy with the auto-upgrade script.